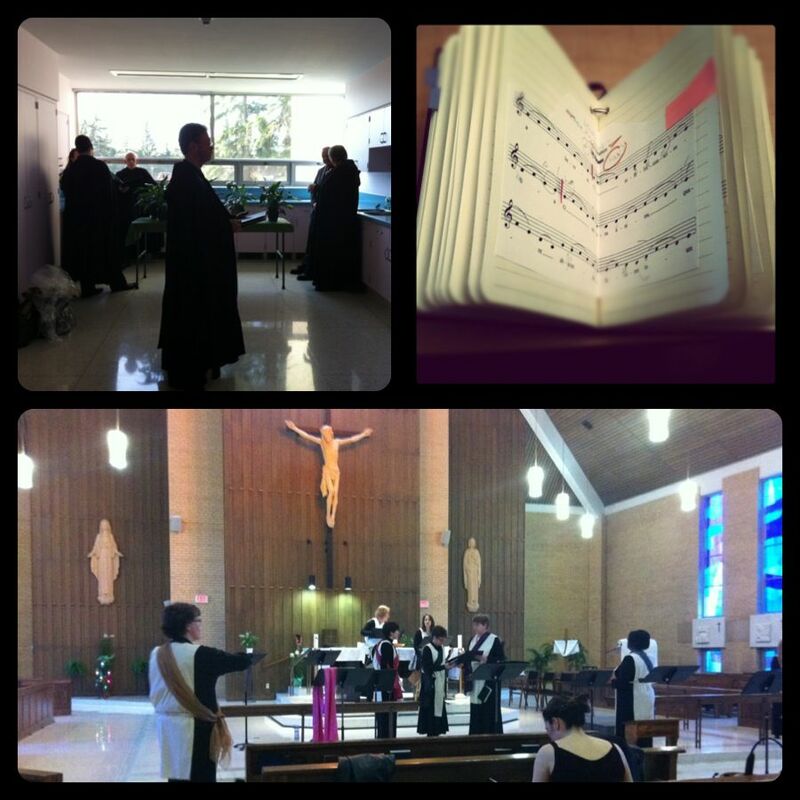 What I weekend I had performing with the Ordo Collective! We performed in Calgary on Saturday and in Edmonton on Sunday. On Saturday morning, I hopped into a van with 11 other people and off we went to Calgary. Snugly packed 3 singers to a bench, we chatted, ate our lunch, and rehearsed our music. It was a nice bonding experience with a group of ladies who were mostly strangers to me last week. Upon our arrival in to Christ Church in Calgary, we were greeted with friendly faces and a gorgeous church. Soon after our arrival, a familiar face greeted us, a fellow singer from my University of Alberta Madrigal Singer's choir days. We needed some male voices to be the "patriarchs" and he was recruited by our director. The following 1.5 h hours were spent to re-block some of our movement with the change in the space and have a solid run of the entire work since we had rehearsed most of it in sections during rehearsals with lots of stops and starts. We didn't have much time after the run before the concert that evening. The actual concert was very exciting to be a part of. By far, it was the most solo-heavy ensemble work I've ever done. I was glad to not have any major blips. A week after starting the rehearsal process and learning the music from scratch, I somehow managed to memorize my virtue solos. I knew it was important for me to get off the page since we were performing it as a play and not just a musical work. Following a late night ride back to Edmonton, I crashed as soon as I got home, and woke up 2.5 hours before the call time. Still feeling groggy upon arrival at the Providence Centre, I perked up when I saw the illuminated stained glass in the chapel. I could tell that I wasn't only feeling the aftermath from the late night commute. However, it was worth it to see the retired nuns sitting in the balcony of the chapel watching our performance and many audience members listening to our performance with closed eyes and a smile on their face. 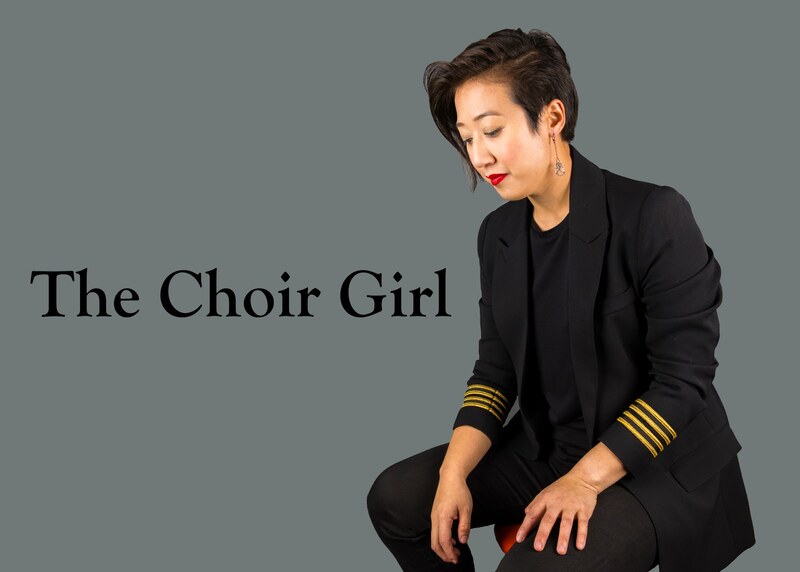 Although I corrected some of my vocal blips from Saturday's performance, during my last solo at the end of a solid 1.5h of singing, I could definitely feel my voice fatiguing. Clearly, it's been a while since I've had to undergo a weekend requiring this amount of vocal and mental stamina. Overall, singing as a part of the Ordo Collective was such a unique experience since it required not only vocal skills but dramatic performance skills. I've never performed/sung a morality play before! It was lovely to see some familiar faces in the audience and share our music with grateful ears. Now to recuperate this week after a performance-heavy past two weeks. Oh wait, it's Pro Coro audition time. Perhaps in May then.